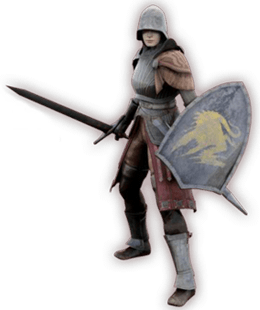 Knight is a starting Class in Demon's Souls. A knight class of a rather advanced area of southern Boletaria. This is a character that is equipped with hard metal armor and shield, and thus, excels in defense, but because they have low luck, it will be difficult to obtain items.